We’d love your help. 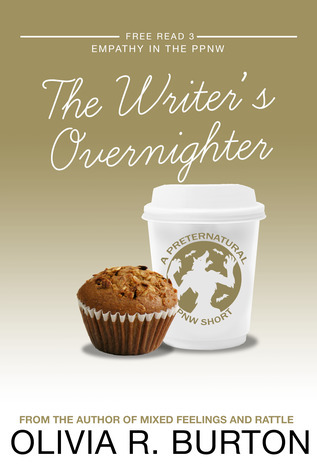 Let us know what’s wrong with this preview of The Writer's Overnighter by Olivia R. Burton. Poppy is a whirlwind of inappropriate caresses, flirtatious winks, and double-talk, but Stanley still can’t help but say yes when she asks for his help. She’s on the run from dangerous men, after all, A kiss from a lovely stranger, a surprise houseguest, an ill-gotten meal, and an uncomfortable feeling in the pit of his stomach: It’s been a strange day for Stanley Sneedley. To ask other readers questions about The Writer's Overnighter, please sign up.